Last night, VL OMNI took Los Angeles by storm with a merchant-only event for high-growth fashion and lifestyle brands. Hosted at the newly-minted ROW DTLA Shopify brick-and-mortar space, our event “Beyond Fashion: Building a Multi-Million Dollar Brand” saw scaling merchants from fashion, beauty, and cosmetics brands alongside fellow merchants, VL OMNI, and our event co-sponsors BVAccel, Oracle Bronto, Dynamic Yield, and Shopify Plus. 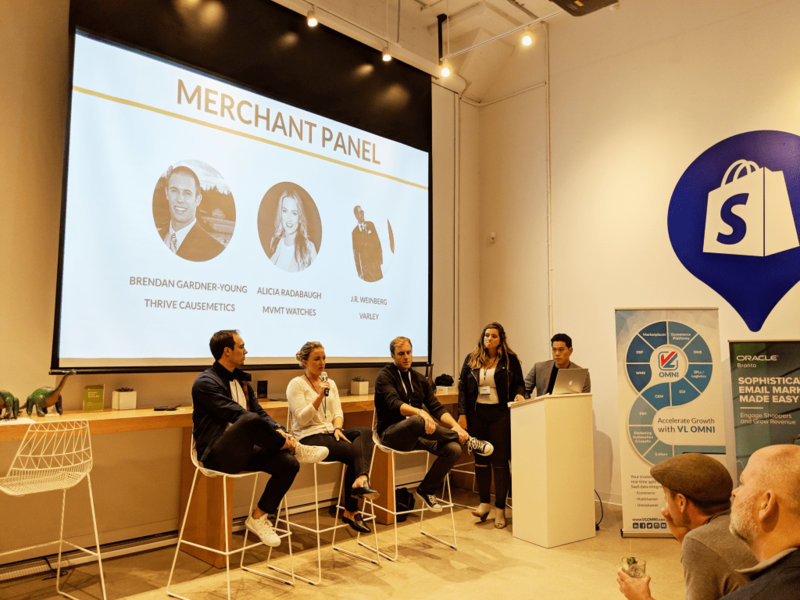 After kicking things off with networking and refreshments, the evening set off with a Q&A panel featuring top-tier Shopify Plus Partners that focused on how Shopify Plus partners can and have supported scaling merchants using cutting-edge technologies and strategies. Tactical advice was provided by Plus Partners on how to navigate the challenges that come along with rapid growth. From left to right: Colton Perry of Dynamic Yield, Robin H. Smith of VL OMNI, Sara Luu of Oracle Bronto, and Jonathan Poma of BVAccel take questions from the audience on how these top-tier Shopify Plus Partners have helped merchants succeed. Next up, a deep AMA conversation with our panel with high-growth Shopify Plus merchants Thrive Causemetics, MVMT Watches, and Varley. Speaking candidly and openly about their experiences as a rapidly growing merchants on Shopify Plus, they shared their successes with Shopify Plus and its Partner Community, as well as the very real challenges they’ve experienced as they scaled. 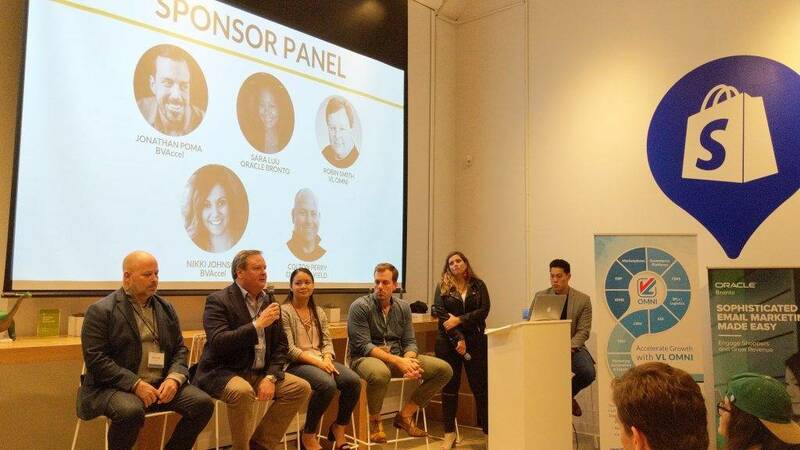 Our invitees had a chance to gain real, practical knowledge and guidance from our sponsor and merchant panels, alongside an invaluable an opportunity to network, ask questions and understand the benefits and challenges of growing a multi-million dollar brand from those who have already experienced it. VL OMNI is delighted to be able to continue to develop our relationship with the Shopify Plus Community. From the incredible Shopify Plus Partners to the equally incredible merchants who flock to the ecommerce platform in droves, Shopify is the glue that both brings our community of ecommerce and multichannel experts and enthusiasts together. We look forward to continue to travels world-wide to help bring the Shopify Plus community to industrious brands everywhere! WHERE IS VL OMNI HEADING NEXT? STAY TUNED!